Is he in heaven?—Is he in hell? This is an adventure novel that reminded me of The count of Monte Cristo. Lady Blackeney is 24 years old. A Frenchwoman, she is married to an Englishman, Sir Percy. She has only one brother, Armand. The book is set in the French revolution, when the French sent hundreds of aristocrats to the guillotine each day. A mysterious English nobleman, the Scarlet Pimpernel, with his friends, (the league of the scarlet pimpernel) is helping the estranged French nobles cross the channel to find a safe haven in England. Chauvelin, the French agent, is desperately looking for the Scarlet Pimpernel. He confronts Marguerite (Lady Blackeney) and shows her a letter incriminating her beloved brother Armand, proving that he is in league with the Pimpernel. Chauvelin offers to trade Armand’s life for her help against the Pimpernel. Contemptuous of her seemingly witless and unloving husband, Marguerite does not go to him for help or advice. Instead, she passes along information which enables Chauvelin to learn the Pimpernel’s true identity. Later that night, Marguerite finally tells her husband of the terrible danger threatening her brother and pleads for his assistance. Percy promises to save him. After Percy unexpectedly leaves for France, Marguerite discovers to her horror that he is the Pimpernel. He had hidden behind the persona of a dull, slow-witted fop in order to deceive the world. Desperate to save her husband, she decides to pursue Percy to France to warn him that Chauvelin knows his identity and his purpose. But the weather is too rough to cross over to France. She must wait. Will she arrive in time? Will she be able to find her husband? What if Chauvelin strikes first? 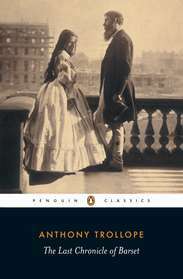 I think that one can only fully appreciate the drama by reading the Scarlet Pimpernel. I came across this post from a fellow book lover, which exactly expresses my feelings. I'm a Book Lover and Proud! Yesterday I finished reading Loss and Gain by Henry Newman, and as I write this, I have just finished Prince Caspian. Don’t get me wrong, I don’t just read books, but Lewis’ book is an afternoon read. In fact, it is a children’s book. After all the theological dose in Loss and Gain, I needed something light. But I am more or less in the same frame of mind as after I finished Loss and Gain. Time seems to stand still. After reading the last page, I find myself thrown rudely into reality. (This happens to me after every book I read). My head kind of throbs. I need time to take in the fact that now I am in the real world and that the book characters and all that happened is imaginary. It is almost the same kind of feeling as the end of a movie, seeing the credits with nice music, and then bang!, someone switches on the lights and you stare at the blue screen in shock and disbelief. What to do? Go on with life? Get another book to immerse oneself in? Wouldn’t it be nice if there was no TIME? I mean, we could enjoy a good book forever? It sounds like a joke, I know. But I don’t know what to do about my throbbing head. This is the last of the Barsetshire tales. It is so hard to keep flipping the pages knowing that at some point, one will flip for the last time. Many of the characters are already familiar: The archdeacon and his family, the bishop of Barchester and his wife Mrs. Proudie, the humble abode of the perpetual curate at Hogglestock, the Framleys etc. The clergy of the Church of England is Trollope’s specialization. The story centres on the alleged theft of a cheque of £20, by none other than the Rev. Josiah Crawley. Everyone is keen to unravel or take advantage of the mystery. Old family rivalries are renewed, friendships are strengthened, and lovers find comfort in each other and hope for the best. It is indeed a trying courtship between Major Grantly, whose sister married a Lord and Grace Crawley, whose father has been accused of stealing the cheque of £20. John Eames, who we left heartbroken in The small house at Allington for his unsuccessful bid for Lily Dale, makes a final effort to win the lady of his dreams. I must admit that I expected things to go differently. Why can’t Lily learn to forget the past i.e. to forget Adolphus Crosbie’s jilt and agree to live her life and not dwell on what could have been? As for Crawley, how sweetly the reader relishes his triumph on Mrs. Proudie. She is absolutely domineering, she is the bishop. But here comes a pauper, almost disgraced in the face of men, who is able to tell to her face what everyone thought about her all along! The ending in this regard is no surprise, but it is dramatic. I regard this as the best novel I have written. I was never quite satisfied with the development of the plot, which consisted in the loss of a cheque, of a charge made against a clergyman for stealing it, and of absolute uncertainty on the part of the clergyman himself as to the manner in which the cheque found its way into his hands…. I have never been capable of constructing with complete success the intricacies of a plot that required to be unraveled.I agree it is well written. I could hardly keep down the book. Both Trollope and some of his later critics have considered The Last Chronicle to be his greatest novel. I am no literary critic, but among his books, I like Doctor Thorne best. Are there any Trollope fans out there? When I finished reading the book I thought: Did I just read a book about ugliness? Did I just read a book about inner ugliness, which is worse? I felt like throwing up. The question I asked myself, and I still do is: why was this book written? 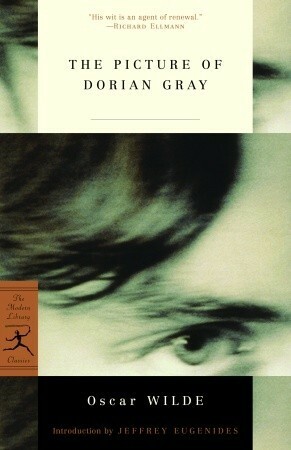 Dorian Gray is a beautiful fashionable young man whose is idolized by his friend Basil, a painter. Through Basil, Dorian gets to meet Lord Henry, a fact that Basil regrets bitterly. The book is all about Lord Henry’s influence on Dorian who ultimately “sells” his soul for eternal youth and beauty. The picture of Dorian Gray was obviously written for a purpose. In fact, it is Oscar Wilde’s only novel. Much can be said about it in the literary sense: themes of beauty, art, friendship; symbols such as the painting and the yellow book etc. Much has been said about its connection with the author’s life. I wonder if I am not making things worse be still saying something about it. Try as I can, it is difficult to forget the book. There are the almost hypnotizing phrases that issue from Lord Henry’s mouth that leave one dumbfounded. True, Lord Henry is Dorian’s corrupter, but it is amazing to see Wilde’s argument put so beautifully together. Lord Henry manages to convince him to live his life according to his maxim of pleasure, pursuit of art etc. As Dorian goes from bad to worse, there is almost no hope for him. The reader would like to stop reading; the stench of foul things is perhaps too much to bear. It seems as though the book is a glorification of the pursuit of pleasure at whatever cost. However, I don’t think that that is the reason for the book. In the last chapter, there is this sentence: It was his beauty that had ruined him, his beauty and the youth that he had prayed for. But for those two things, his life might have been free from stain. His beauty had been to him but a mask, his youth but a mockery. What was youth at best? A green, an unripe time, a time of shallow moods, and sickly thoughts. Why had he worn its livery? Youth had spoiled him. Youth. A mystery. A gift. A curse perhaps? Each one makes it what they would. But as far as the book is concerned, I can breathe easily. The sentence quoted above restored the hope that I had almost lost. I’ve just finished reading Louisa May Alcott’s Little Women. It was such a delight. The story is simple: four little girls growing up and finding their feet in the world. But such simple plot is told in such sweetness and truth that the reader wipes the tears that gather as he closes the last page. Meg, Jo, Beth and Amy March are as different as north is from south. Meg with her motherly instinct guards all the girls; Jo, a tomboy is always frolicking around with her friend Laurie and doing “larks”; Beth, always happy to be calm and to mind the others; and little Amy is the model of propriety. Even their talents are very diverse; Meg is a natural homemaker, Jo writes, Beth is sweetness itself and Amy plays and draws. Yet, they get on so well together, that it seems a miracle, until we discover their mother’s hand in the not so little miracle. Grow up they must, and face the world, but only after facing their little battles within. They flourish beautifully, and their families at the end of the book are a real work of art. It is what I call a really GOOD story, in the real sense of the word and I thank the little Marches for such a delightful read. Truly, the story went straight to my heart, to be cherished forever! If I could summarize the story of the three musketeers in five words, they would be adventure, valour, power, love and revenge. Set in the 17th century, it recounts the adventures of a young man, d’Artagnan after he leaves home to travel to Paris, to join the Musketeers of the Guard. He befriends Athos, Porthos and Aramis, who are musketeers. The book is in a way, historical. At least the circumstances in which the story is told are historical. Cardinal Richelieu controls the politics of France. The king (Louis XIII) would like to get rid of him but can’t. The queen, Anne of Austria, loves another man, the duke of Buckingham and the cardinal is trying to expose her to the king. But it is not just about love affairs, it is rather how those affairs have the power to influence the fate of nations. Buckingham himself states that is the queen of France were to desire it, he would betray his own country. It is the age of chivalry, when men risked death and worse to get a smile from lady-love. In case romance is not your cup of tea, breathe easy, the book is much more than that. It is adventure packed where D’Artagnan along with his three friends must unite and defeat a beautiful double agent and her villainous employer from seizing the French throne and engulfing Europe in war. The three musketeers is a perfect thriller!